Shut the Front Door! It’s Purple! I don’t remember where I first heard about the trend of painting your home’s front door purple, but the instant I did I was sold. 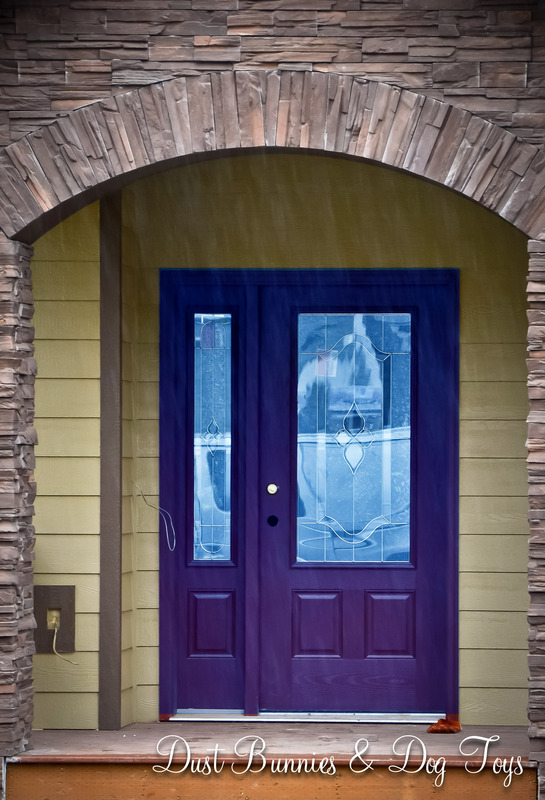 And soon after I started noticing several purple-hued doors around Kodiak. Now that I’m in Anchorage, I’m usually too busy watching the other drivers around me to notice door colors, but I’m sure there are a few out there. Apparently, the trend is spreading because I found several examples on Pinterest! 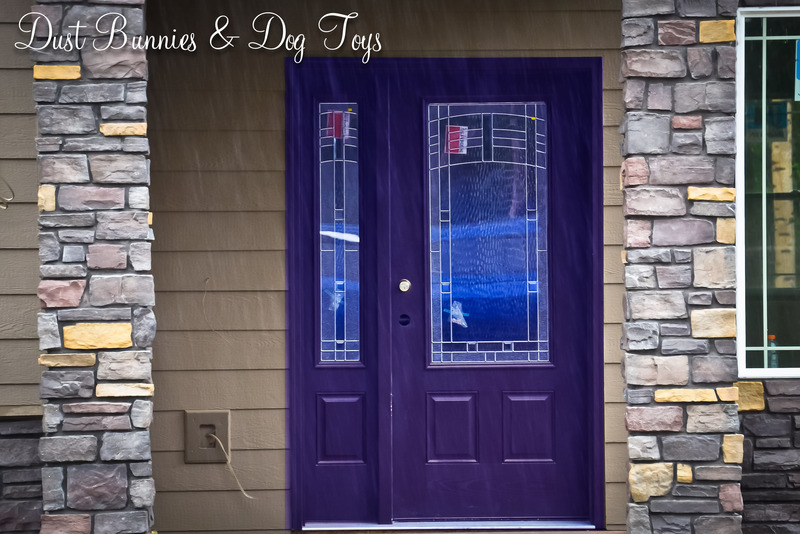 Our builder’s foreman called the other day saying it was time to pick out our front door, which brought the idea of a purple door back to the forefront. We picked out this door with a craftsman style leaded glass insert, but apparently that one is special order and takes 3 weeks to arrive. Unfortunately, our builder needs to install the door next week, so we told him to get something they had in stock similar to what he’d had in the models we’d seen. This is the style he chose as seen on another of his builds. I tweaked it to be purple in Photoshop, granted not the exact shade I’d choose but close enough for a visual (sorry for the rainy picture, but I didn’t feel like traipsing through the mud to get a closer shot). I’m not crazy about it, but it is nicer than just a plain door. Unfortunately I then saw this one (also tinged purple via Photoshop) on another of his models and like it better, even though it’s just a different glass insert. I think it fits our ‘craftsman’ style more. I’ve asked him if that style is the same price and if so, can we get that one instead. We’ll see what he says. Regardless of which style we end up with, I think a purple door will add a nice pop of color to our entry way since the house will be tan with a medium/dark brown roof. I’ve considered adding faux shutters to the windows later on, which I might do in the same color to contrast with the pretty window box planters I’d want to add if I did add shutters. Because one project always leads to another right?! Now I have to pick just the right shade of purple for said door. I’m feeling a bit like the lady in this ACE commercial who wants a purple, but not a PUR-ple. You know, the perfect color. I’m thinking something deep and rich like an eggplant. Something in this shade would be nice. We picked up a swatch of Behr’s Mata Hari at Home Depot today and really like it. I’m considering having them paint both the exterior and interior door purple. It might seem a little odd, but it is my favorite color and honestly, having one side purple and the other side white seems just as strange to me, so in a way it makes sense. Maybe only in my head though. What do you think? Should we paint both sides or just the exterior?